New CD – have a listen! 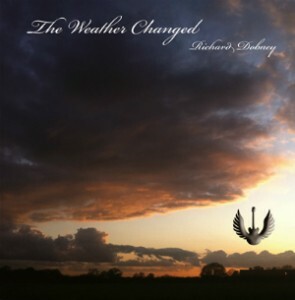 The latest CD “The Weather Changed” is available to order now (UK only) via email to sales@richarddobney.com. 13 original tracks £10 inc. P&P. Payment by Paypal, cheque or postal order. Welcome to the website of singer, songwriter, guitarist and bluesman Richard Dobney. Here you will find upcoming gigs, videos, free music, news, merchandise and much more! Connect with Richard on Facebook, Twitter, ReverbNation and Youtube. For all enquiries / bookings etc. email to info@richarddobney.com. Email to: info@richarddobney.com for all enquiries / bookings.